There is a brand-new listing on the market in Fruita and it is a must see! 142 Heatherly Lane is on the market for $309,900 and this two-story home features 4 bedrooms, 3 bathrooms and 1,999 square feet. This beautiful home is in a great location and is within walking distance to restaraunts, shops and schools. 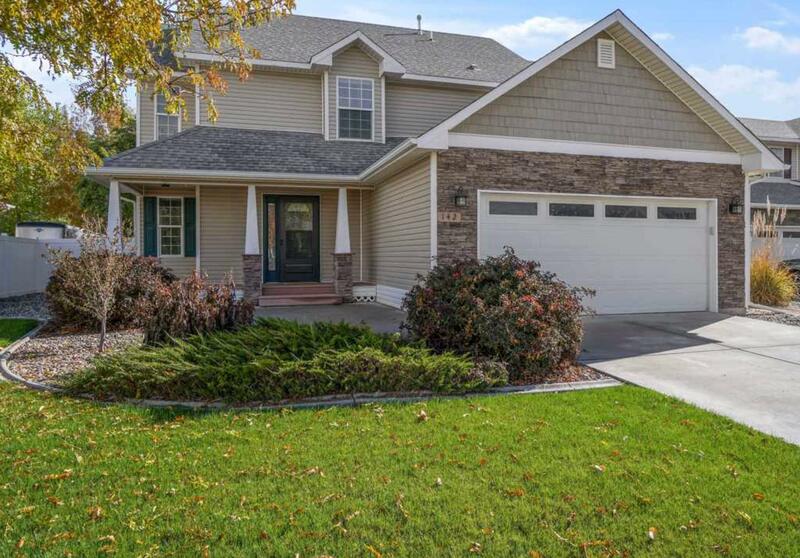 This spacious home has some recently updated features including new carpet in the living room, new tile in the formal dining room, new paint throughout the home, and gorgeous granite tile with back splash. Enjoy relaxing in the large living room with cozy fireplace or cook a tasty meal in the open concept kitchen with stainless steel appliances and plenty of storage space. The large master bedroom has oversized picture window and the master bathroom features dual sinks and a spacious walk in closet and shower. This home has plenty of curb appeal in the front and backyard with new land scaping recently having been done. The backyard has a huge patio, mature trees and plenty of room for entertaining or for kids and dogs to run and play. If this sounds like it could be your dream home, please contact Rhonda Bever at 970-201-2108 or gjhomesbyrhonda@gmail.com today. This beautiful home will not be on the market for long!